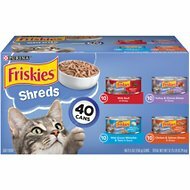 Wet cat food continues to be the most nutritious option for cats and kittens. 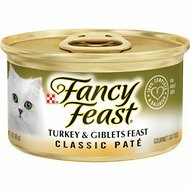 Cats are carnivores, which means they love and require a diet that is rich in meats. 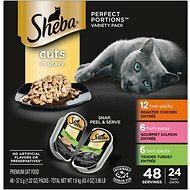 Wet cat food offers cuddly kitties the animal protein they crave and deserve. 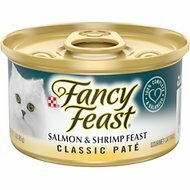 Cats love the taste of wet food, but did you know it has health benefits, too? 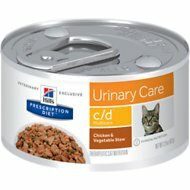 It helps keep your kitty hydrated, which is important for maintaining proper health. Wild prey can contain as much as 75% water, which is why cats have evolved to obtain water through the food they eat. 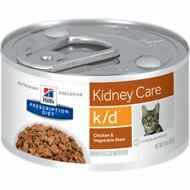 Water plays a major role in feline’s every bodily function, especially digestion. 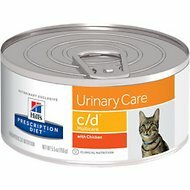 Cats tend to not drink enough water on their own to ensure proper hydration. 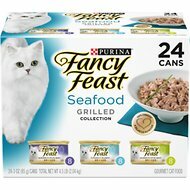 A simple solution to avoid dehydration is to add canned cat food to your furry feline’s eating routine. 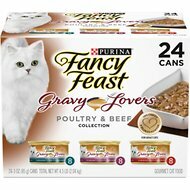 Whether it’s mixing in some delicious canned cat food into dry cat food to increase palatability or fed on its own for a complete and balanced diet, your kitty will appreciate the recipe and texture variation of a rotational diet. 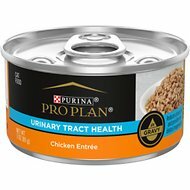 Help maintain your kitty’s optimal health with high quality healthy wet cat food. 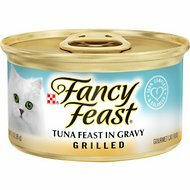 Incorporating wet cat food into your cat’s diet can make it easier to ensure your caring companion is fed right. 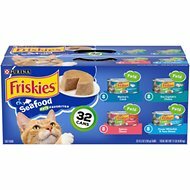 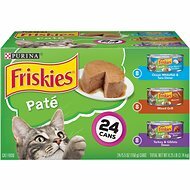 Even picky eaters will find something they like with the wide variety of protein sources available in minced cat food, chunks in gravy cat food, pates, loaf style, shredded cat food and flaked top rated wet cat food. 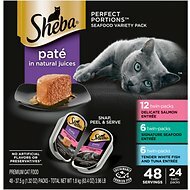 Unlike kitty kibble, wet cat food requires refrigeration after opening, which means pet parents can’t leave wet cat food laying out all day. 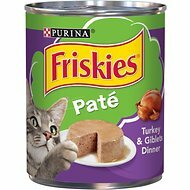 If your schedule doesn’t allow for this, supplement wet cat food with dry cat kibble for snacking. 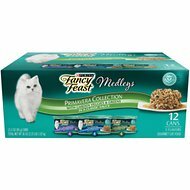 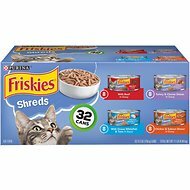 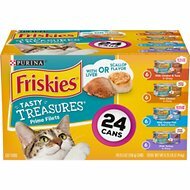 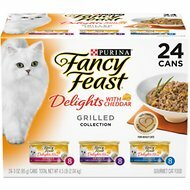 The best canned cat food brands offer up a great way to provide your courageous kitty with a balanced diet. 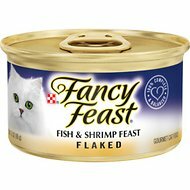 Not sure which brand of wet cat food to try? 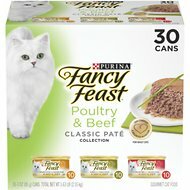 Chewy offers the best canned cat food on the market including Fancy Feast, Friskies and Purina. 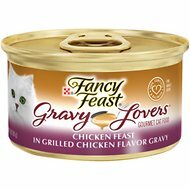 Satisfy your frisky feline with top rated pet food from Chewy.